Available in more than 83 languages. 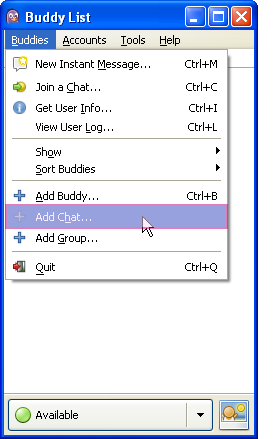 Compatible with the following chat networks out of the box: AIM, ICQ, Google Talk, Facebook, Jabber/XMPP, MSN Messenger, Yahoo!, Bonjour, Gadu-Gadu, IRC, Novell GroupWise Messenger, Lotus Sametime, SILC, SIMPLE, MXit, MySpaceIM, and Zephyr. It can support many more with plugins. A lot of additional features like playing music status, auto-reply etc. can be activated by switching plugins ON. Pidgin integrates with the system tray on Windows, GNOME2, KDE 3, and KDE 4. Pidgin is free and contains no ads. All code is free, open source and licensed under the GNU General Public License. Fast, works better on both slow as well as fast internet connections. No need to create any accounts. Download link: Official download link for Pidgin.